It’s been 8 months, 8 LOOOOONG months, since I was last able to enter a world with a delightful little mouse named Quill. Thankfully the drought is over and I can now help Quill in her journey. 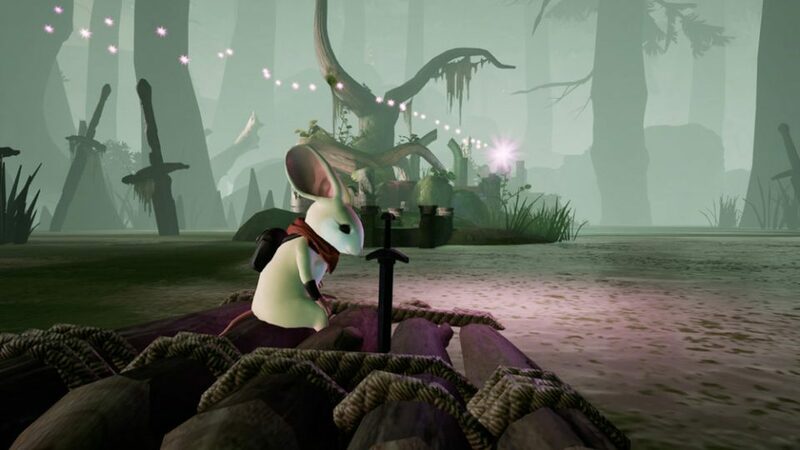 Moss is a platforming game where you controll and interact with Quill, a little brown mouse with a heart the size of a deer. 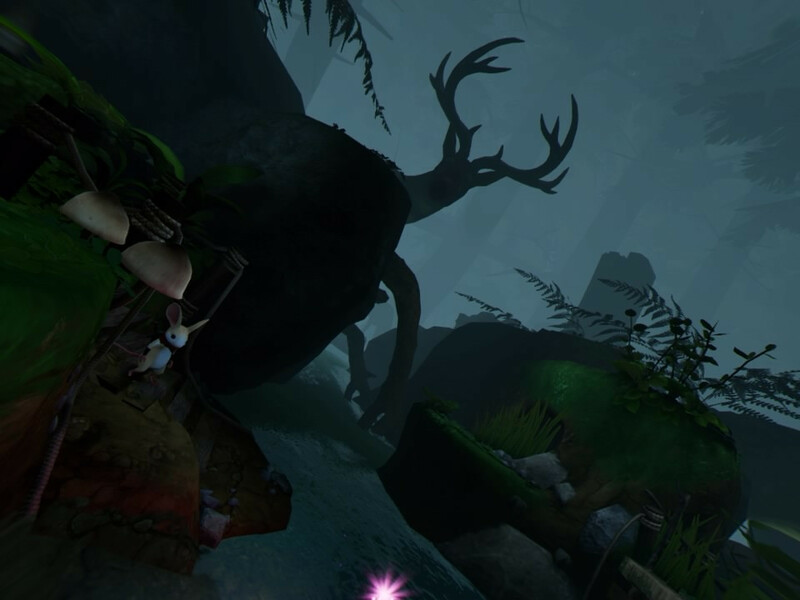 Along the way you battle tiny mechanical crabs, giant mechanical eyes, and 1 very big mechanical snake. All this with nothing more than tiny green gauntlet and little green sword that looks like a blade of grass. 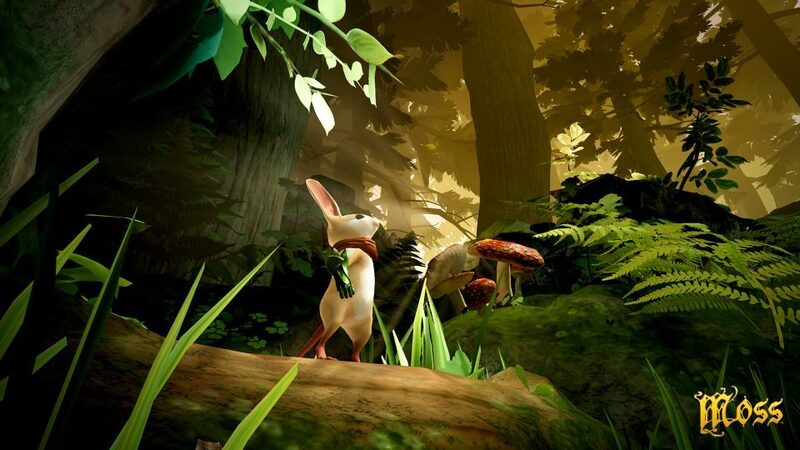 It plays pretty much like any other platformer out there; you pick up items, solve puzzles, jump ledge to ledge, and poke your head around the inner landscape of the level to look for any hidden elements that you can find. What’s that? That last part didn’t make any sense? 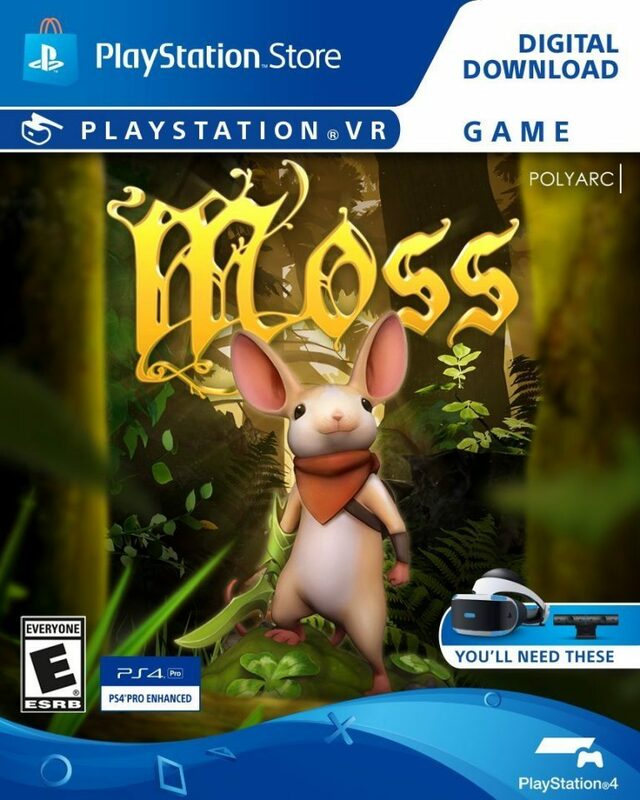 Oh, that’s because Moss is also a VR game, and one of the best that I’ve ever played. Moss changes the very definition of what a VR game can be. 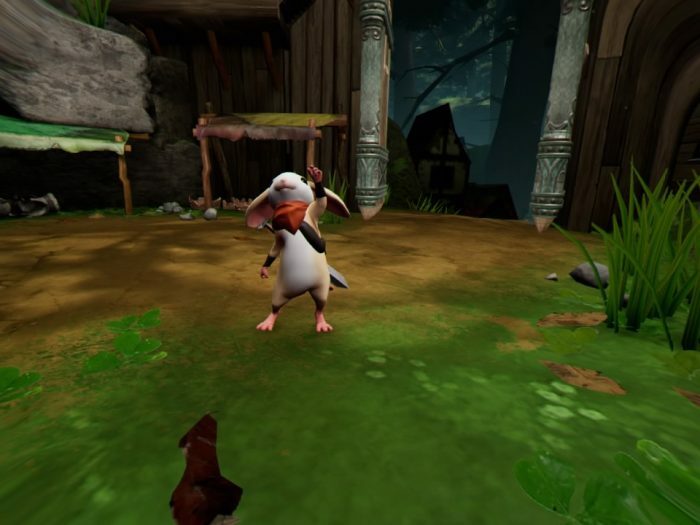 How does platforming transition to VR? Pretty well apparently. Polyarc was able to craft a world that immerses you in the story and endears you to the protagonist immediately. 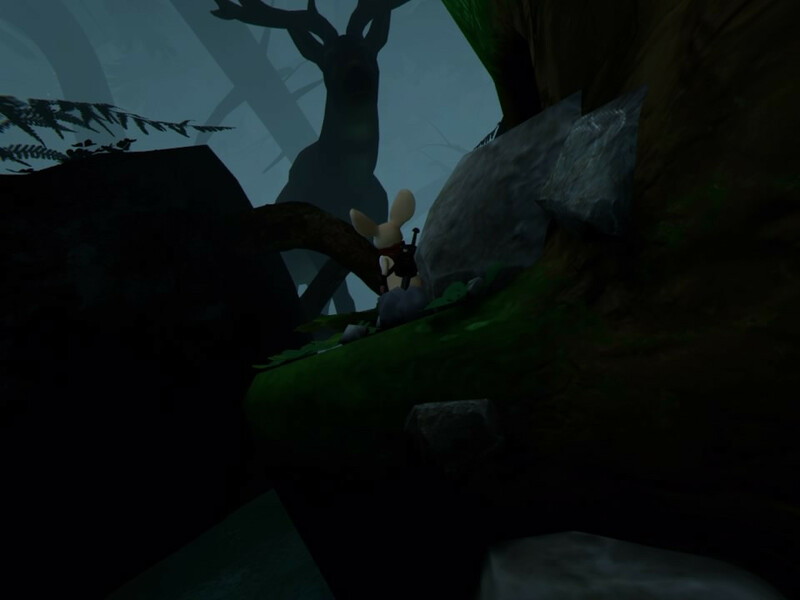 Once I put the goggles on I and saw that tiny little mouse, I wanted to do everything I could to keep her from harm. The great thing is that there are a lot of ways that you can help Quill, beyond just controlling her movements. 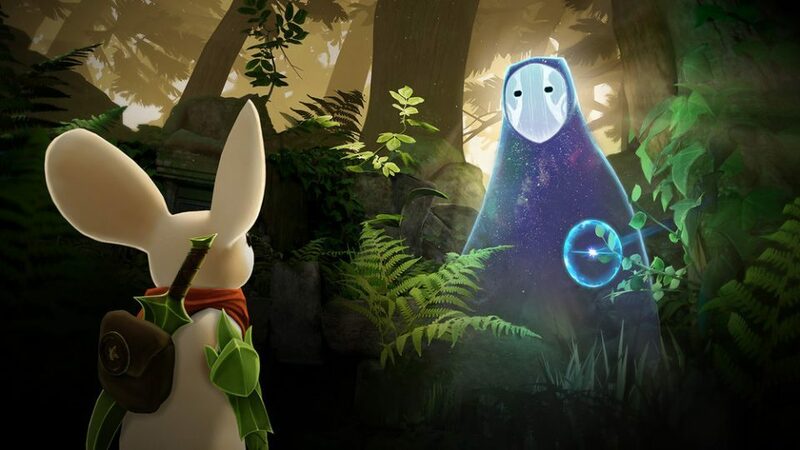 You play The Reader, a creature reading the story of Moss (much akin to The Neverending Story) that guides Quill along in her journey. Being The Reader awards you with god like powers that enable you to move large objects, pick up and heal Quill, and control enemy characters in many ways (my personal favorite was grabbing a canon wielding Forge Screecher, putting Quill up on a ledge, and clearing out all of the enemies with said canon). Controls are solid and jumps have to be very precise in many places. 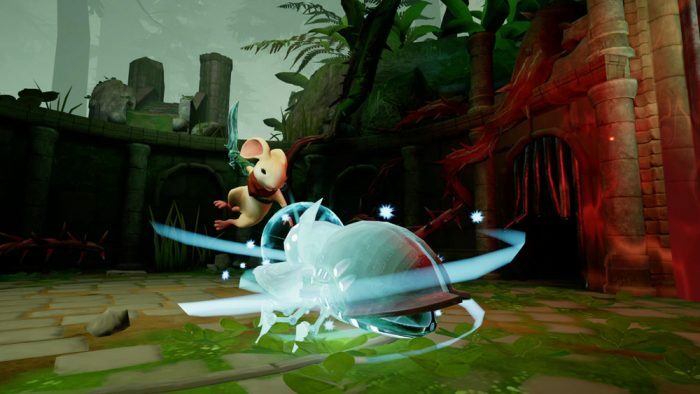 Since Quill has a finite amount of health, combat needs to be well thought out and executed. 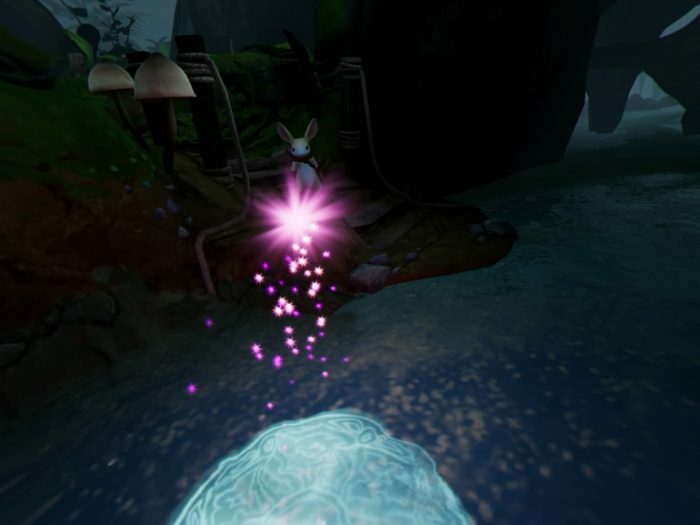 Polyarc did a great job of establishing the world of Moss as being more than meets the eye. 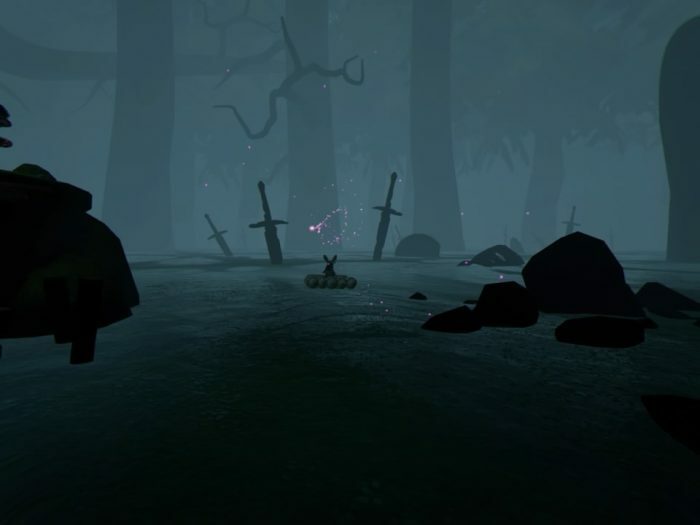 While at first the game feels like a fairytale planet inhabited primarily by mice, your view point changes as giant deer are seen in the background and Quill runs along a human sized sword & through a knights helmet. The environment of the reader (what feels like an old library) constantly changes with the locale and timing of the game (again like The Neverending Story). 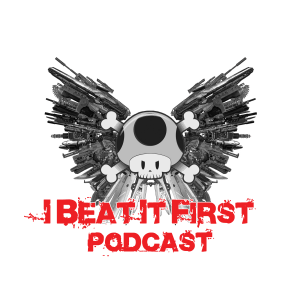 There are some drawbacks that feel need to be mentioned, but they’re not huge detractors. First off the game is short, clocking in at about 3-4 hours for completion. This isn’t too big of an issue though as it’s only a $30 game. At the end of the game you’re greeted with a note that you have completed part 1, which would have been nice to know before starting the game but again isn’t a big issue. Lastly, they show that the proper way to play the game is sitting down in a chair which doesn’t work for many TV setups. In my case I found it was best to stand during play which sucked a bit because I was standing for hours, but it also afforded me the ability to move around in the gaming environment a lot more. Since I have a large open area in my living room it’s almost the ideal area to play VR games, except for the black lab and 5 year old that are constantly at my feet or within arm radius. Best Played Standing... FOR HOURS!